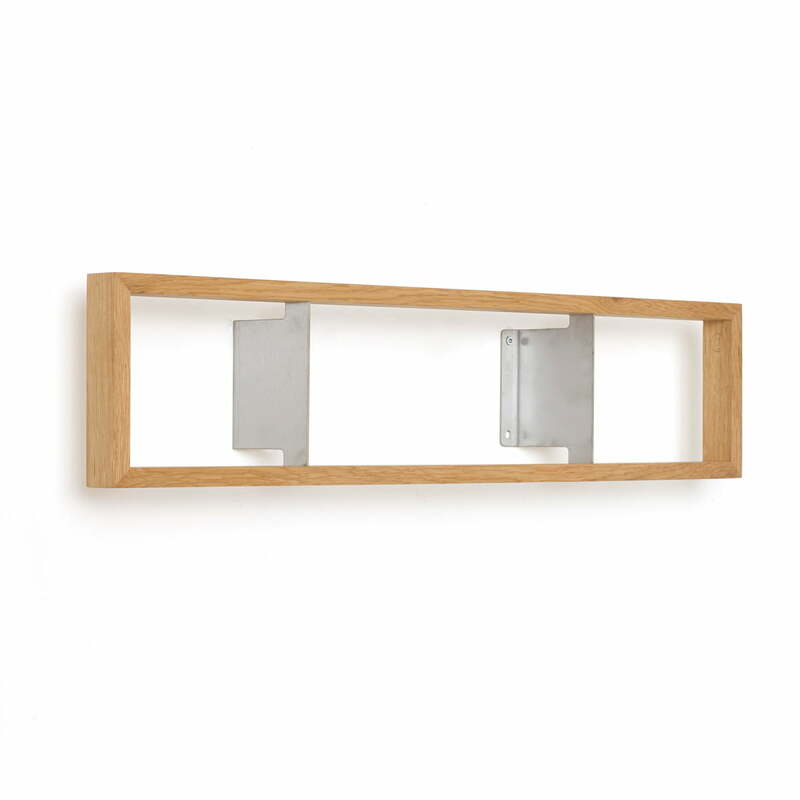 The shelf b - CD combines traditional handicraft with innovative design with ease. 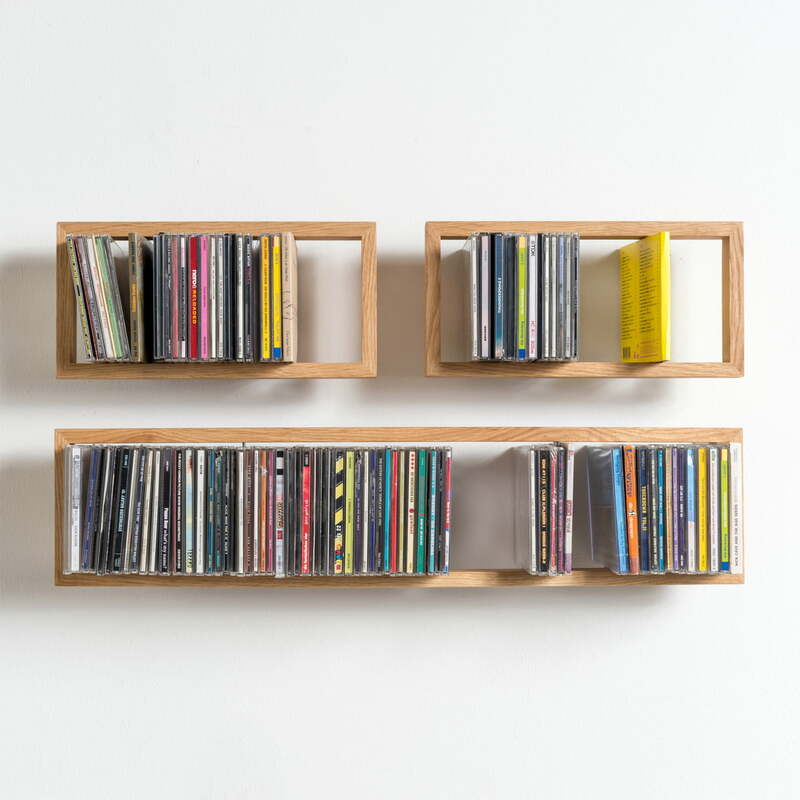 The unusual floating CD shelf made by “das kleine b” in Hamburg is handmade from oak and wows with a minimalist and sculptural design. Thanks to the special construction with inset stainless steel angles the filigree wooden object and the CDs really look like they are floating. Inspiring design. 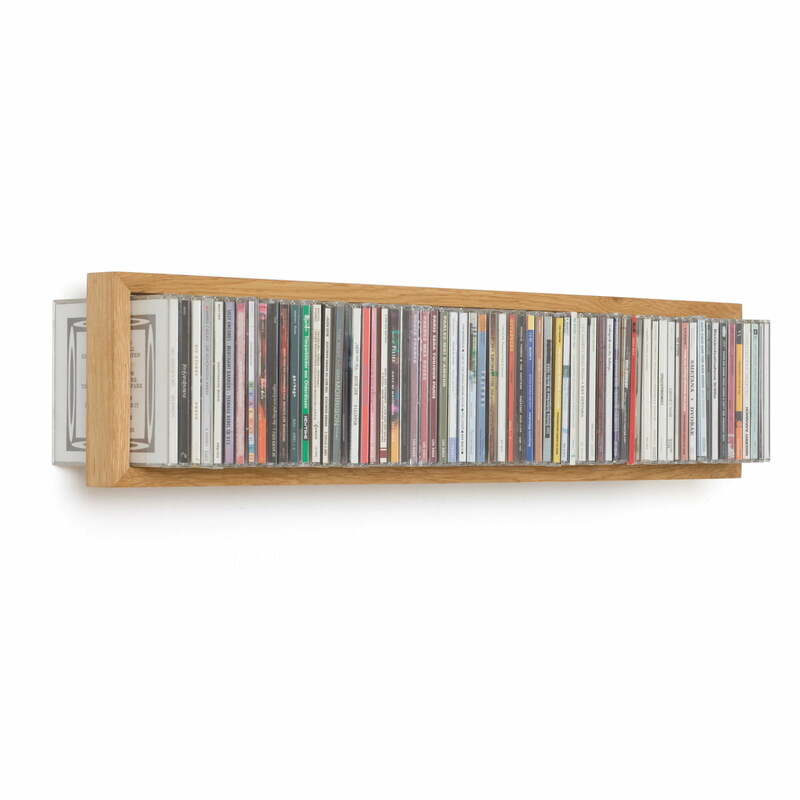 The stainless steel fitting simply hides behind the music collection when the shelf is filled and this gives the b - CD shelf a very special appearance. The design comes from the trained carpenter and designer Jens Baumann, who designs innovative home furniture for “das kleine b” in Hamburg. Traditional wooden handicraft from the harbour city. 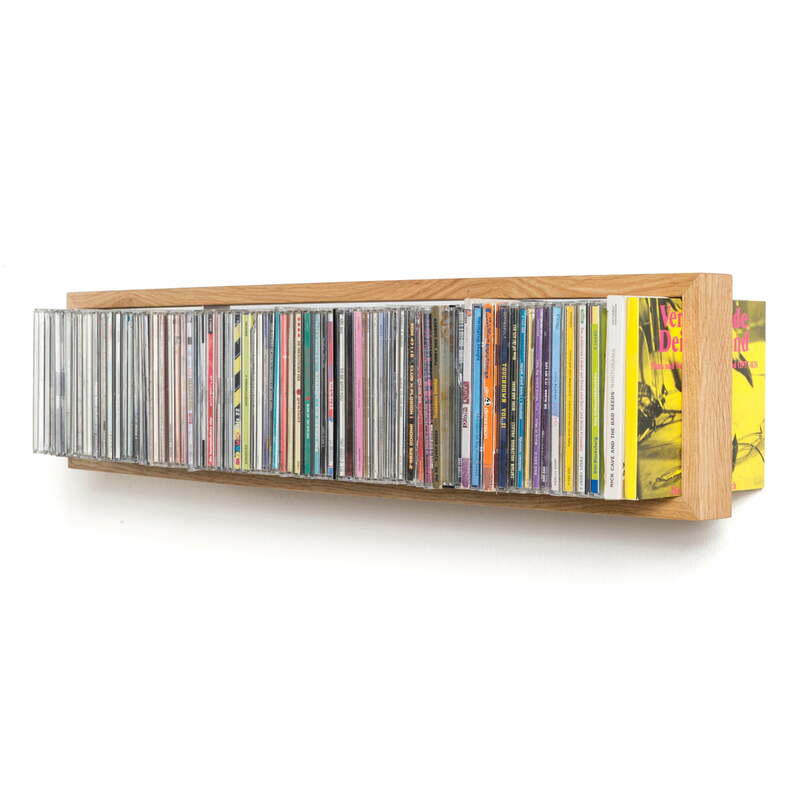 The b - CD shelf can be endlessly expanded depending on the size of your own music collection. 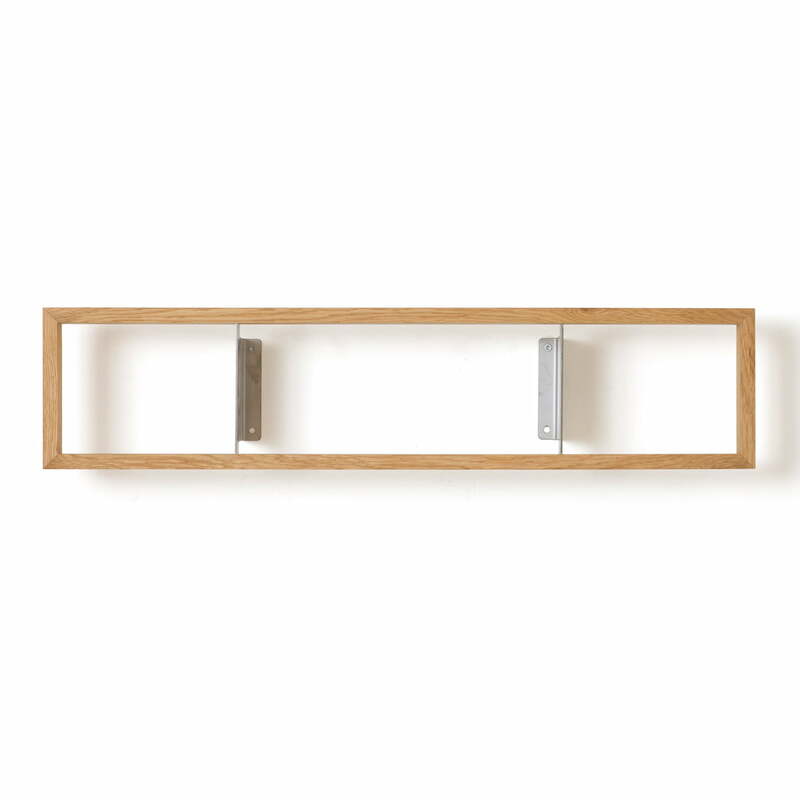 So “das kleine b” offers the CD shelf in a total of three lengths. 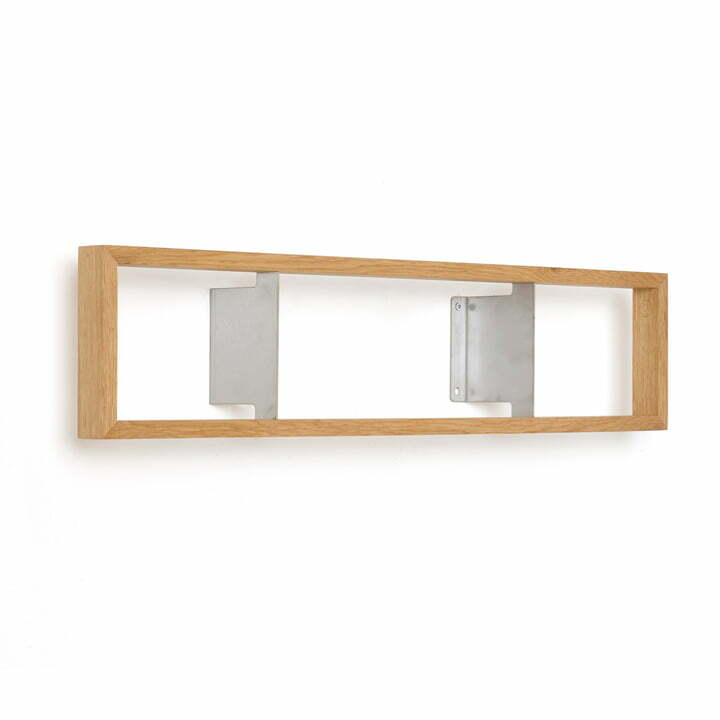 A completely individual floating shelf storage system can be assembled in combination with the wall and corner shelves in different sizes and the shelf b - System.